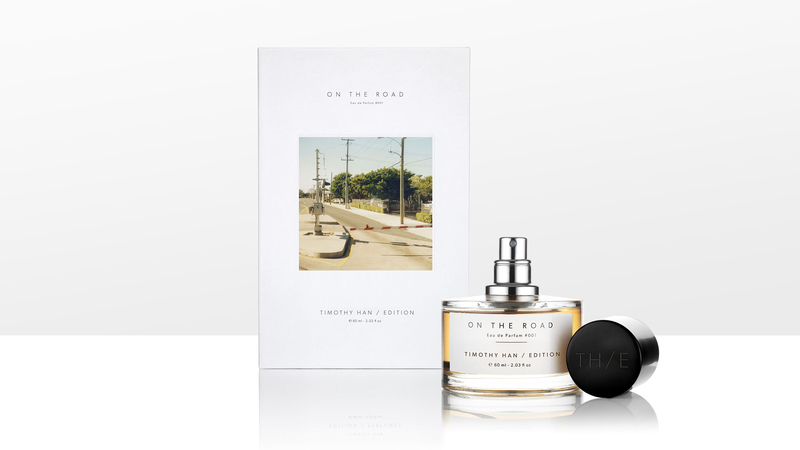 Timothy Han / Edition is a perfume brand based in East London. We were commissioned to design the brand identity and packaging. We used the “Gibson” typeface from the famous Canadian type foundry to represent the founder’s background. 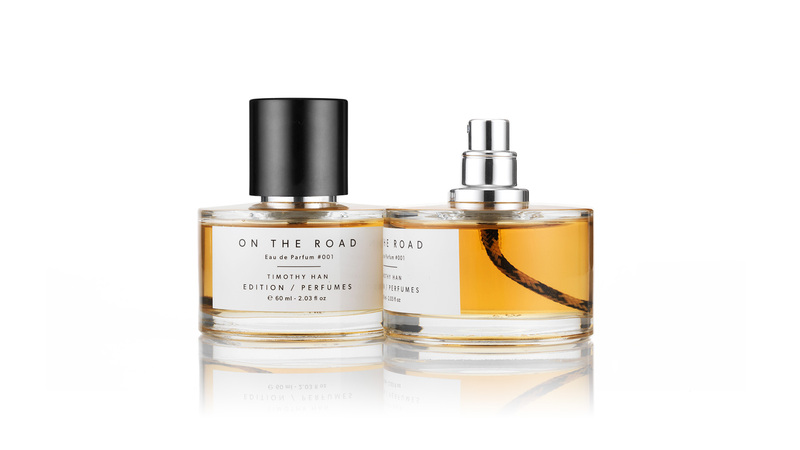 The perfumes are inspired by novels so we designed the package in the same size as a paperback book. 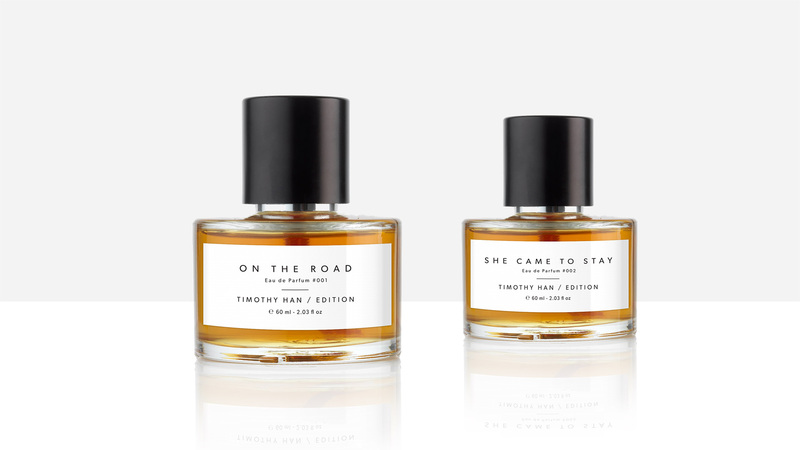 There are two series called “She came to stay” and “On the road”. 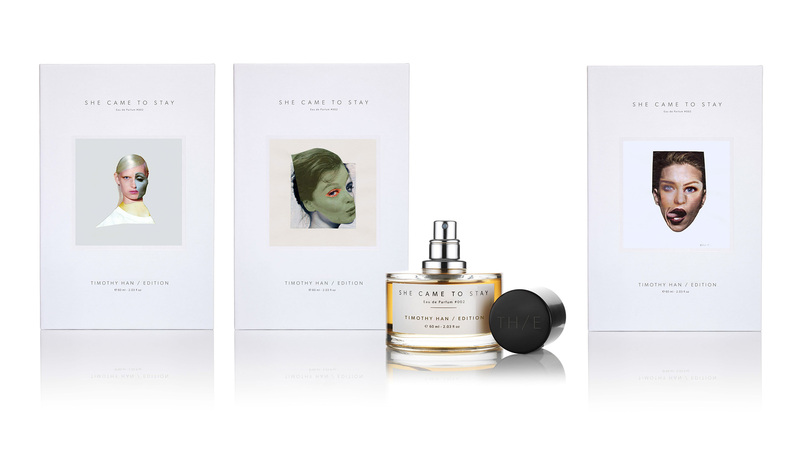 Each series has five different versions with artworks on the cover, created by East London artists.